The tape must be in very intimate contact with the reproduce heads in order to get good results. The magnetic head gap is very narrow and, therefore, dirt particles may easily cover the gap, which causes loss in the playback signal. . If the tape has picked up contaminants such as dust, dirt and/or other substances (fluids, chemicals, etc.) in poor storage conditions or by bad handling, it must be cleaned before transfer. 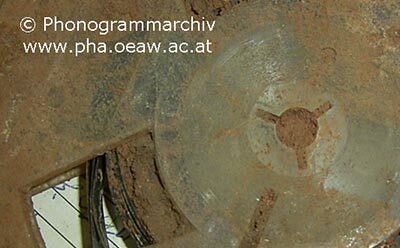 Analogue magnetic tapes, unlike discs, should not necessarily be cleaned as a matter of course. Cleaning should only be done when needed. Dirty or contaminated tapes may be cleaned of dust and debris with a soft brush and low vacuum. Remember that fungus can grow on tape after it has been exposed to high humidity. Tapes with fungus should be isolated and treated by professionals as soon as possible because they can present a health hazard. If in doubt, consult an expert! 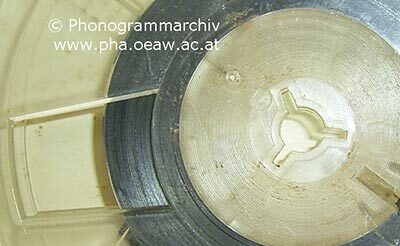 Report of a Roundtable Discussion of Best Practices for Transferring Analog Discs and Tape , p. 8.